She is the chief meteorologist for ABC News. So just how ignorant is the rest of their meteorology crew? Can you say “fake news”? Cheetos for the brain – it ain’t easy, bein’ cheesy. 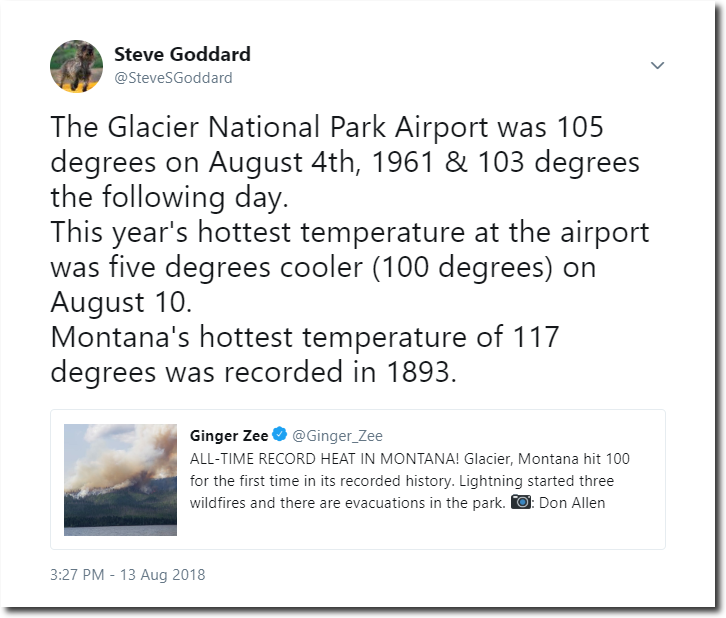 Just in case the usual suspects start up with the predictable hand wringing about big fires in GNP being the “new normal,” blah, blah, blah. Interesting to once again see that kick-ash year of 1936 show up prominently in Glacier NP. Did the ditz reply or dispute? No, they never do. Telling the truth isn’t in their job description.